Fiberglass insulation manufacturer Anco Products Inc. evolves into new entity, Anco Products, becoming part of Rétek Engineering Solutions that also owns Indratech Performance Fiber Systems. 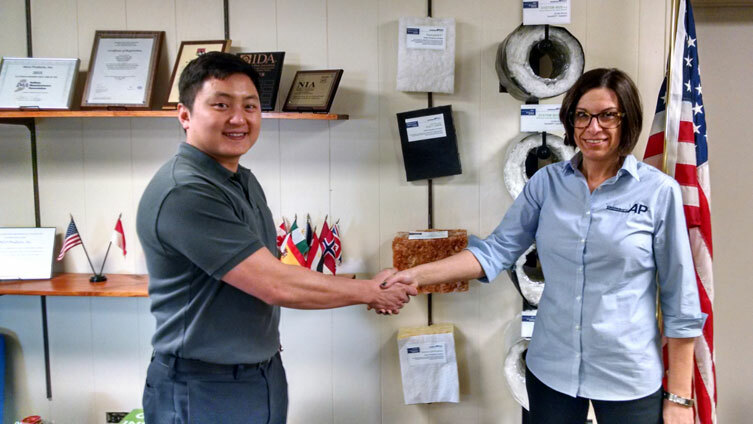 Anco Products, an insulation manufacturer specializing in long fiber textile-type fiberglass insulation products, is pleased to announce new ownership. Anco Products will now be a part of Re’tek Engineering Solutions, an affiliate company of Indratech LLC, the owner of Indratech Performance Fiber Systems. Indratech is a leading manufacturer of advanced fiber materials used in seating, bedding, acoustical and packaging applications. “Anco Products has had a long and proud history in the manufacturing of quality insulation solutions,” said Fred Kim, President of Anco Products, Inc. “We are delighted that Re’tek will continue this legacy. We are excited to see the ways that Anco, under Re’tek’s stewardship, will continue innovation of its product offerings and wish them the best in this new stage of their growth,” he added. Anco Products will remain headquartered in Elkhart, Indiana and Re’tek intends to preserve the jobs of all employees of Anco Products, Inc., each of whom have been offered employment with the post-acquisition company. Anco Products has a long history of manufacturing and serving the insulation and HVAC industries. As an ISO 9001 certified insulation manufacturer, Anco provides quality long fiber, textile insulation products into numerous different sectors, including the agricultural, railcar, and LNG industries. For more information visit ancoproducts.com. Re’tek Engineering Solutions brings a strong heritage of engineering innovation, advanced design, and environmental consciousness to its products. With joint ownership in companies like Indratech, Re’tek continues to focus on the delivery of high performance applications with an emphasis on safety and recyclability.